View all ACTIVE listings located in Glen Eagles Golf Estates Havasu! Glen Eagle Golf Estates homes for sale include a variety of homes that are located in Lake Havasu City, AZ. This is a beautiful gated golf course community and the location in the midst of the downtown area provides many advantages for residents. Situated next to the London Bridge Golf Course, this community includes single-family homes, townhomes and condos. With a view of the golf course and the mountains, the homes in this gated community are highly desirable. Glen Eagle Golf Estates real estate is treasured for the tranquil setting and the privacy afforded residents. Condos within Glen Eagle include many features such as natural stone floors, large bedrooms, vaulted ceilings, patios and more. A swimming pool and outdoor area for barbecuing as well as garages at the rear of the complex provide a lifestyle enjoyed by many. The proximity to shopping, restaurants, recreation and entertainment provides residents with everything needed. There are several walking and biking trails located in the area, one that connects Main Street with the Aquatics Center, which is another enjoyable option for residents. Townhomes within Glen Eagle Golf Estates are another choice that offers residents a view of the golf course, the lake and the mountains. A community center, playground, swimming pool and security provided by living in this gated community are just a few of the reasons this is a desirable address in the city. Glen Eagle Golf Estates real estate in Lake Havasu is enhanced by the location near parks, fishing areas, beaches, marinas, a skate park and more. The residents of this area enjoy shopping at The Shops at Lake Havasu with over 720,000 square feet of space. The mall includes anchor stores J.C. Penney’s, Dillard’s and a Super Wal-Mart. The Channel Riverwalk District and the Uptown McCulloch Main Street District provide additional shopping venues and there are night clubs, restaurants and a performing arts facility located within Lake Havasu City. 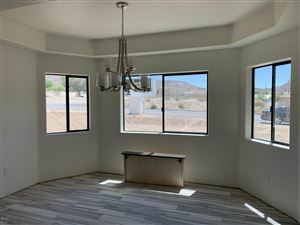 The added benefit of the courses at London Bridge Golf Club, featuring 36 hole of golf and panoramic views of the Mohave Mountains, the Colorado River and the desert are also enjoyed by those who choose Glen Eagle Golf Estates homes for sale. The club also has the Lakeview Gill where restaurant and patio dining is offered.